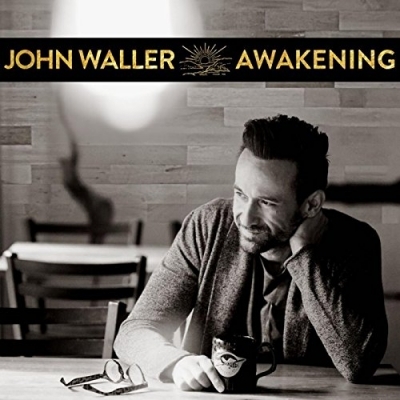 LTTM caught up with recording artist and songwriter John Waller to talk about his new album, coffee, music and what defines success. There are so many great answers from John so make sure you have a read. Tell us a little bit about this new album of yours? The album is called "Awakening" (at least till I change it, which can happen at the 11th hour of a release). I wrote with some amazing writers for this project including my producer Ian Eskelin, as well as Benji Cowart, Daniel Doss, Matt Armstrong, Barry Weeks, Sammy Ward and Matt Papa. Whew!! That's a lot of names. These are some of my favorite songs I've ever recorded. I have to say it's a song called "Mine" that I wrote with Benji Cowart. Once the Father says, "You're mine," there is nothing and no one that can change that. "You can run, I'll chase you down every time till you know, you are mine, you are mine, you are mine"
Wow. Honestly one of my favorite songwriters of all time is Stephen Curtis Chapman, so I would definitely say he is one. But if I can add one more, I would say Chris Martin with Coldplay. I honestly love the creative synergy that happens in the studio. That's where creative minds and hearts see something greater than what was imagined happen. I'm probably more of a communicator than a musician. Music is what delivers what my heart wants to say. When I write a song, it most often starts with a message and then I frame it with the proper music vibe to deliver that message. I also allow other creative people to help me frame it. Oh my. That is a good question. My definition of success has continued to evolve throughout my career. I can't define it by accolades cause I have few to speak of. Certainly not by money earned cause my nine kids have somehow absorbed most of everything I've made. Record sales and radio hits...uh...no. I define by all the people who have told me how one of my songs met them in a dark place and connected them to the Father’s heart. We at LTTM love coffee. Tell us about 'Crazy Faith Coffee'? I would have to say "Frontiers" by Journey. I'll never forget buying that record (on vinyl of course) and sitting in the dark listening to every single creative element that made that record so great. "Faithful and True" from Stephen Curtis Chapman's very first album. "As I looked back on this road I've traveled, there's so many times He carried me through. If there's one hung that I've learned in my life, my redeemer is faithful and true." What does the next year hold for John Waller?